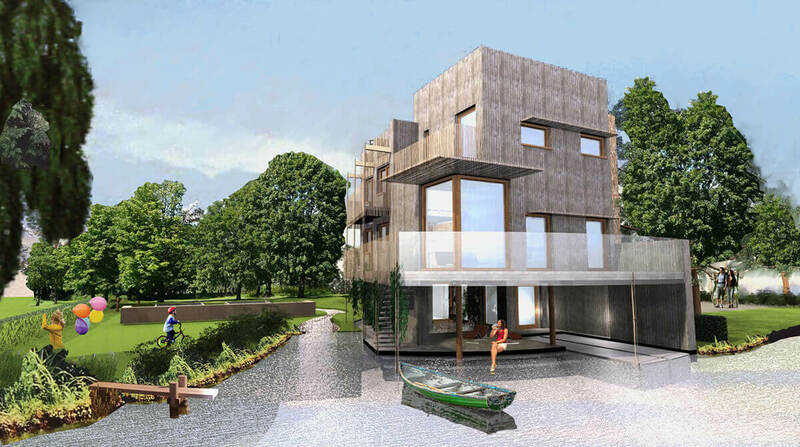 Phi submitted a design for The Sunday Times Eco Haus competition. It will be included in the 2015 Awards publication “Design. The key to a better place” available through RIBA Bookshops. 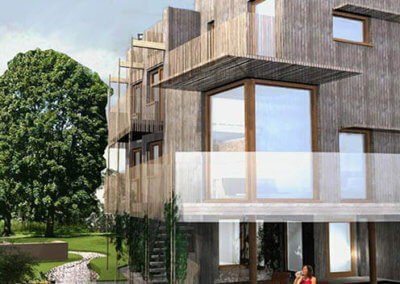 The designs will also be presented on www.ecohomehub.com, the UK’s leading online portfolio of energy efficient home designs. A solid structure, rooted in the ground at the lake’s edge – a concrete “welly boot” base, resilient in it’s environment, flood resistant and robust. A lightweight and open home, springing from this substantial base. Natural native materials of flint, thatch, bamboo and wood. A modernist approach, yet sensitive to the natural habitat. 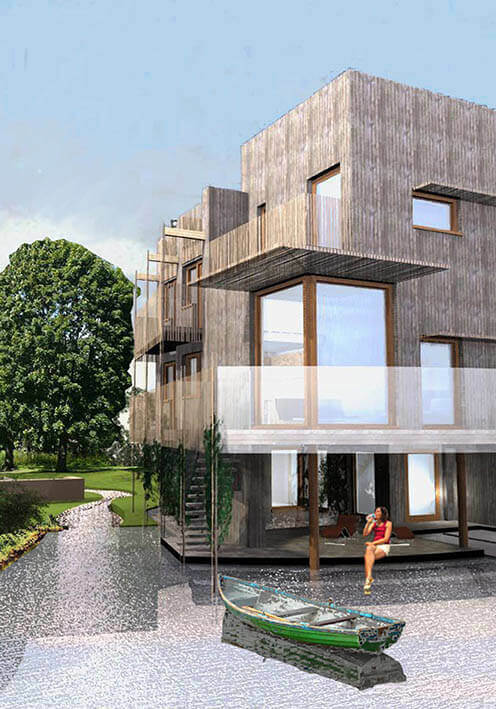 Architecturally arresting design yet able to meet Passivhaus. Visual and physical links of the water with the heart of the home. Vertical stacking of accommodation to maximise vistas and orientation. Outdoor spaces at every level, interlinked by vertical circulation, which wraps the dwelling, flowing seamlessly. Practical structural and services layouts, with bath/shower rooms vertically stacked and designed to facilitate off site fabrication as pods. Home with water frontage, westerly and southerly aspects and private spaces for all. Flexibility on multiples and expansion/ reduction.